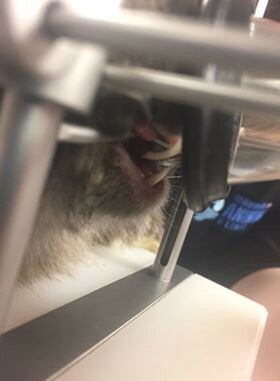 Rabbits have a very unique teeth arrangement, and thus require unique care throughout life. It is important to understand how rabbit teeth normally function in order to understand what can go wrong. 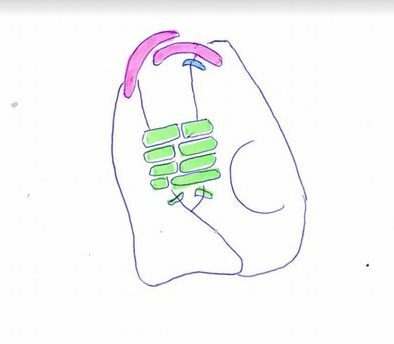 Premolars and molars in the back of the mouth (called cheek teeth): Grounds the food with side to side movements of the mouth. All rabbit teeth are continuously growing, which means they must be worn down by the opposing tooth during chewing. Hay is a very important component of a rabbit’s diet, and this wearing of the teeth is one of the reasons why. Proper diet, in an animal with no dental abnormalities, allows for wear of the teeth at approximately the same rate as they are growing. Dental disease is a common occurrence in pet rabbits, but why is that? What will happen at the vet? Your veterinarian will first take a detailed history. During the examination, your veterinarian will get a better idea of the full condition of your pet. In some animals, sedation is necessary to examine the teeth properly. Based off of this information, your veterinarian may recommend further testing such as radiographs (x-rays). What abnormalities might they find? Overgrown teeth – when the teeth aren’t worn down as quickly as they are growing. Overgrown teeth cause abnormal occlusion of the mouth at rest, leading to pressure and discomfort. Tooth Trimming – Most teeth trimming require anesthesia. 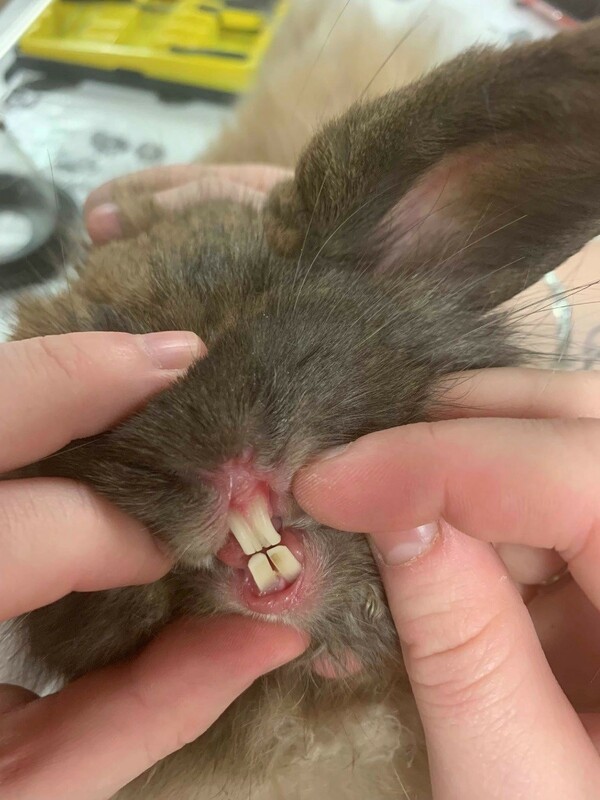 Depending on the specifics of your rabbit’s dental disease, they may need to return for more tooth trims in the future. Tooth Removal – This requires anesthesia. 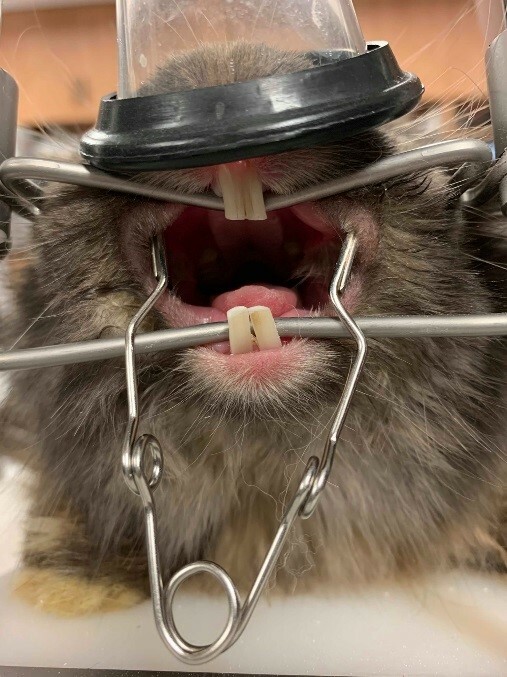 This picture shows a rabbit under general anesthesia after her teeth have been trimmed. The mask on her nose maintains anesthesia. 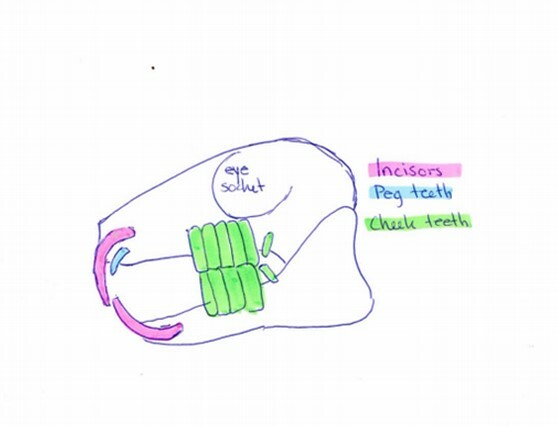 The metal bars hold the mouth open vertically, and the cheeks are held open with a cheek dilator.